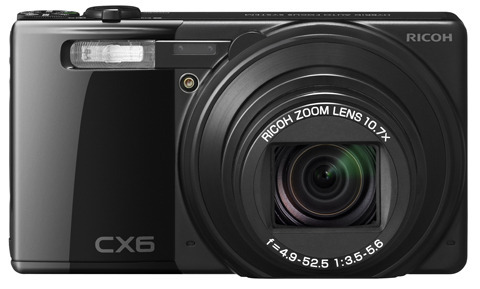 Ricoh has today unveiled the CX6, a 10-million-pixel digital compact camera boasting an AF speed of 0.1sec. The CX6 sports a lens designed to deliver the 35mm viewing angle equivalent of a 28-300mm zoom. Ricoh claims that the 3in (1.23m dot resolution) LCD screen is 1.7 times brighter than the display on the CX5 model. New features also include an AF continuous shooting option and aperture/shutter speed priority functions. It will be available in a choice of black, silver and pink.